Grand Mufti Sheikh Abdul Aziz Al-Asheikh has called on believers to help people with disabilities. 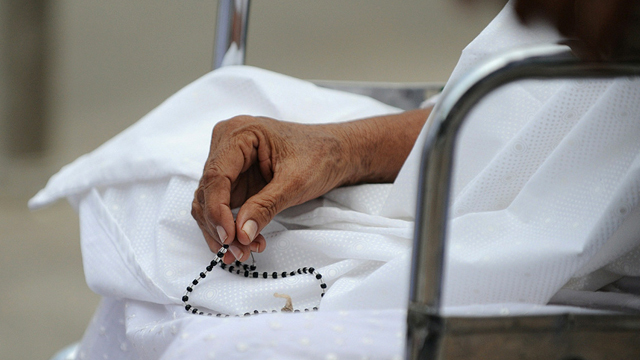 Al-Asheikh said Prophet Muhammad (peace be upon him) had instructed imams to keep prayers short because many sick and disabled congregants found it difficult to handle long prayers. “The earlier generations of believers followed the same path of the Companions in the treatment of people with disabilities, not just because it was a human right but as a form of worship and obedience to the Almighty,” Al-Asheikh said. Muslims should be at the forefront of those who are kind, considerate and respectful to people with disabilities, the grand mufti said. He also called on the guardians, relatives, friends and colleagues of those with disabilities to be polite to them. He said able-bodied people must realize that Allaah made them in this manner. He said Muslims must help people with disabilities on their travels, and when they are standing, sitting, or entering and leaving a place. He said believers must also assist them to develop their talents so that they do not feel neglected or despised. The grand mufti said it was the duty of communities to integrate people with disabilities into mainstream society by inviting them to all social occasions, providing them good education and finding them suitable jobs. He also urged people with disabilities to work hard and not become despondent about their physical limitations.